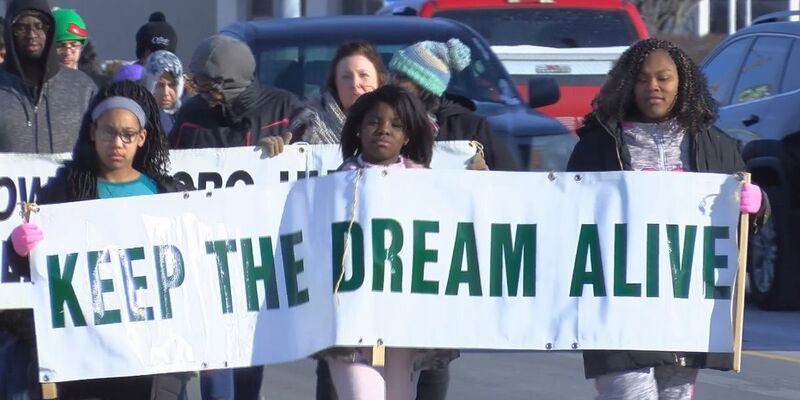 OWENSBORO, KY (WFIE) - The cold didn’t stop about a hundred marchers of all ages, races, and religions from marching from Owensboro High School to Kentucky Wesleyan College. The annual Martin Luther King Junior Day celebration includes a gathering of speakers to preach Dr. King’s message. With standing room only, the Owensboro Human relations committee was thrilled with the crowd. “The crowd! The willingness of people to want to be here for this special day," Randolph said. But some realize that while our community is working to come together, not all are. And community leaders believe the day isn't just about Martin Luther King, but about realizing how you too can change the world. “Find something that you’re passionate about that you want to see change in and you commit yourself to it," Randolph said.